As of the spring of 2015, all the major search engines have changed how they will rank websites when searched. Any website that is NOT mobile optimized will be pushed to the bottom of the ranking page. If your website was created by SN Digital Media that site is optimized, but if not you may want to check. We'd be happy to look into it for you, just give us a call! 647-2911. Charlie gets schooled in the importance of having a mobile optimized business website! Why A Website? Why Now? Well those are good questions. The internet has become the new yellow pages. Consumers will more likely "Google" to find your business contact information, and they are more likely to do that on a device other than their desk top computer. That means if you don't have a web presence or your website doesn't load quickly and properly on their phone or tablet, those potential customers will go somewhere else! And guess where they WILL go? The good news is that it has never been easier and more affordable to upgrade and/or create a website that is responsive to today's tech savvy consumer. Your business needs an attractive, mobile optimized website that is affordable AND easy for you (the owner) to update content and offers. 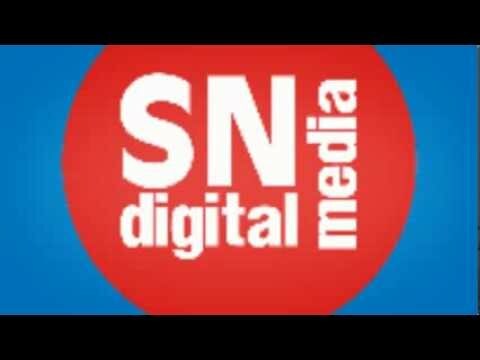 SN Digital Media is here and ready for you! If your website isn't working for you, or you have put off getting a website give us a call! We are dedicated to help you improve and/or claim your businesses internet real estate in today's business world.